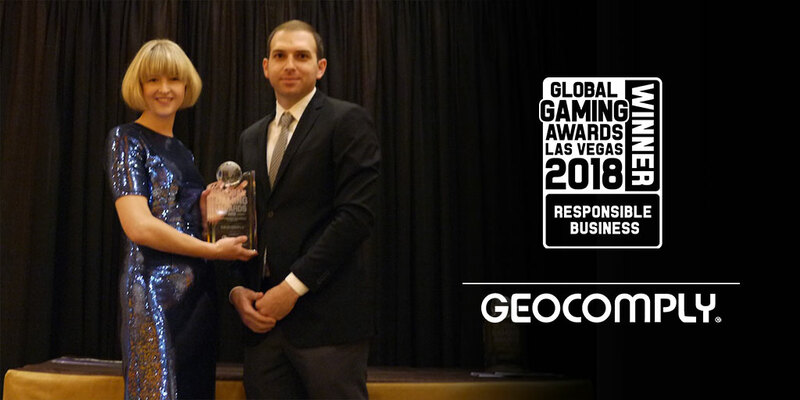 October 8, 2018 (Las Vegas, NV) – GeoComply is pleased to announce that it is the recipient of the 2018 Global Gaming Award for Responsible Business of the Year. This award recognizes GeoComply’s leadership in providing the highest level of geolocation and anti-fraud compliance to support the iGaming and sports betting industry. GeoComply also won this award in 2016 and made the shortlist in 2017.